Imogen's Typewriter. : My #Hallowreadathon 3 TBR! So how do I plan to complete the challenges? 1. Read a book about a monster! When I was coming up with this years challenges, I was looking at my copy of Frankenstein by Mary Shelley. It was on my Hallowreadathon TBR last year as well. It's the ultimate monster story! Thus- read a book about a monster. 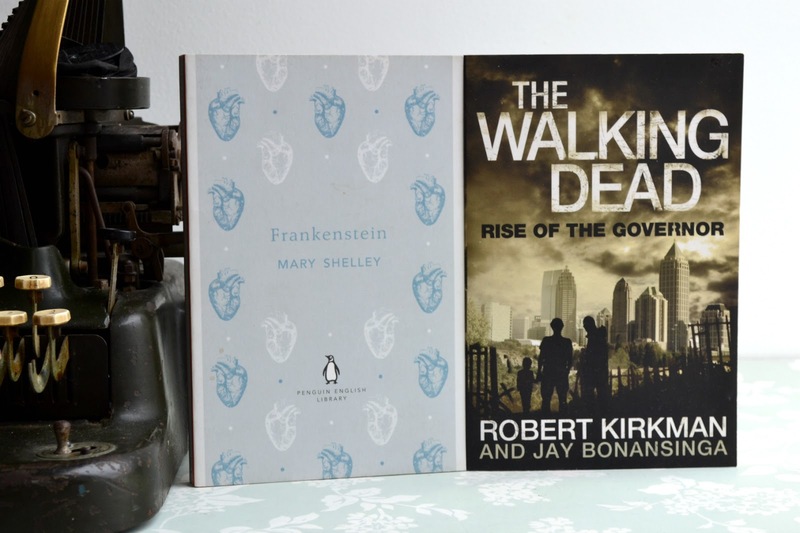 My other pick is The Walking Dead: Rise of the Governor by Robert Kirkman and Jay Banansinga. By the time the Hallowreadathon is on, The Walking Dead will be back on TV and I'm really looking forward to finally finding out who died in the finale. Cliffhangers are garbage writing, kids! And since it not only has zombies, but also has the Governor, that's two kinds of monster. 2. Read a book with purple on the cover! 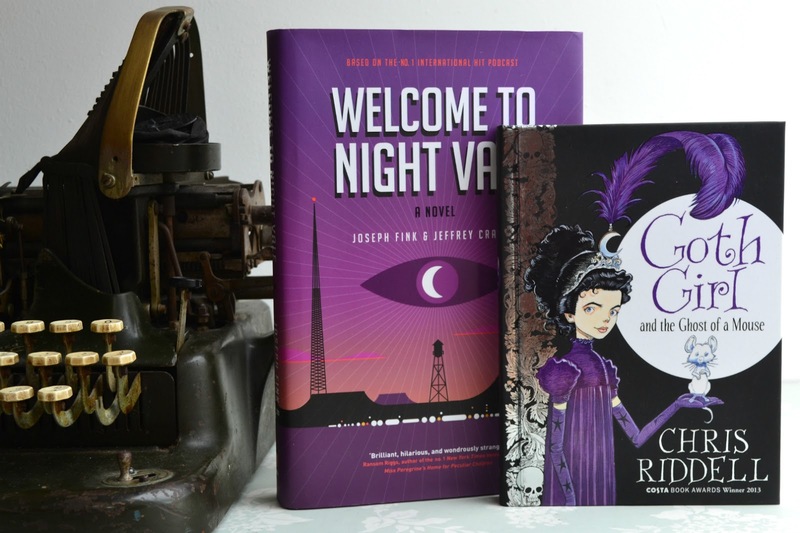 I thought the Welcome to Night Vale novel by Joseph Fink and Jeffrey Cranor. It's also perfect for Halloween because it's a little strange, a little creepy and the cover is super purple. And although I love the podcast, I've not read the book yet! The other book I'm thinking about reading is Goth Girl and the Ghost of a Mouse by Chris Riddell would make a perfect Hallowreadathon read since it's set in a creepy house and about ghosts. Plus, it's a children's book with images so a fast read. Not only does it have purple on the cover, it has metallic purple edges to the pages. Everyone likes options though. So if it hits the 30th and I want to read something else, I'll be looking to my Autumn TBR. As for the giveaway, not only can you win the first three Aurora Teagarden books in a #Hallowreadathon preparation box in this post. I'll also be giving away the first book from the Harper Connolly series; Grave Sight by Charlaine Harris to a random person who uses the hashtag over the 30th/31st! 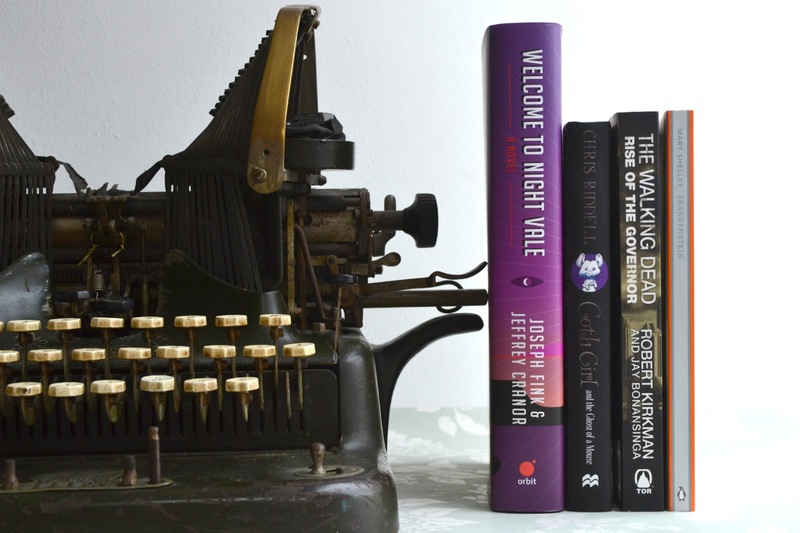 Will you be joining the readathon? What do you plan to read? Book Review: If You Go Away by Adele Parks!